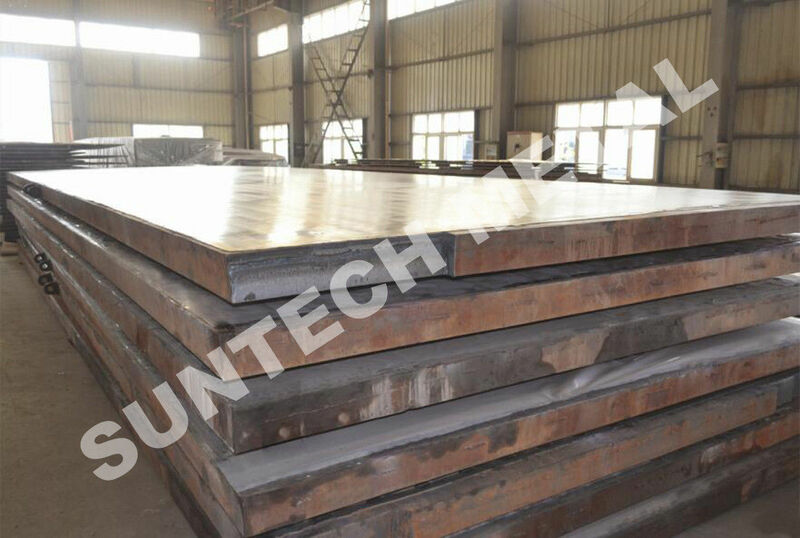 - Clad plates provide an economical solution for chemical processing. - Explosion welding is a solid state joining process in which explosive energy is used to propel the component metal parts together to form a metallurgical bond. - At the point of impact of the two components, a thin layer is stripped from both colliding surfaces and is ejected as a molten metal jet. -This jet contains the surface contaminants and oxides that would otherwise prevent bonding. -The two surfaces are in intimate contact under extreme pressure enabling the bond to be formed. 1. 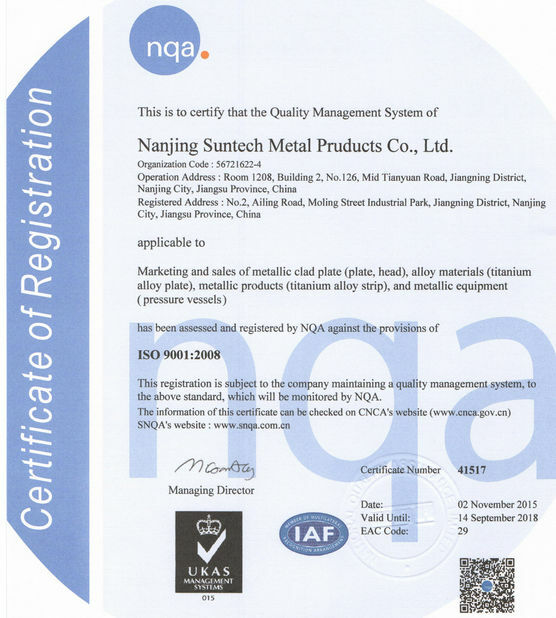 Abundant experience in non-ferrous metal cladding and production. 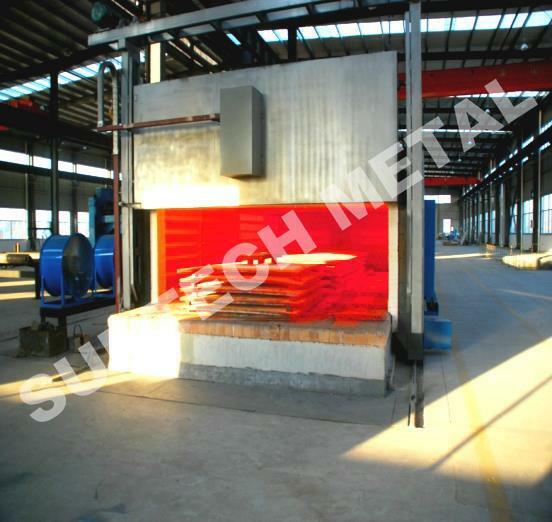 With more than one decade of abundant experience in non-ferrous metal cladding and production, we provide high quality explosion bonded clad plates and clad heads with the cladding layer made of Nickel Alloy, Titanium Alloy, Copper-Nickel Alloy, Zirconium, Tantalum Alloy, Super Stainless Steel, aluminum and other materials according to ASTM, ASME, JIS, DIN, ISO other codes. More than 20 items of inventory or practical new-type patents also provide us with strong research and technical supports for our products. 2. Professional technical consulting service provides you with assistance. 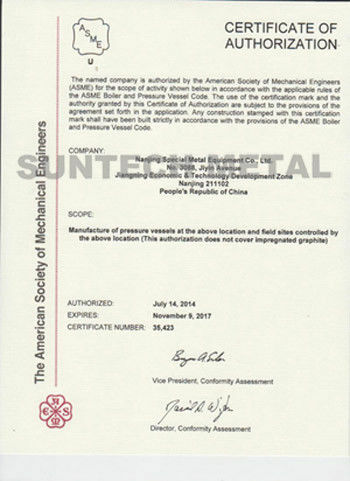 - Supplier technical document review, such as inspection and test plan, WPS / PQR, fabrication procedures, etc. - Technical consulting on material, welding, NDE, etc. 3. Independent inspection service covers following activities. Located close to Shanghai seaport, we enjoy shipment convenience for large-sized explosion bonded clad plates and heads.